Looking for an inexpensive new QWERTY phone? Nokia Philippines and Smart Communications partners together to offer yet another wonderful deal for consumers. 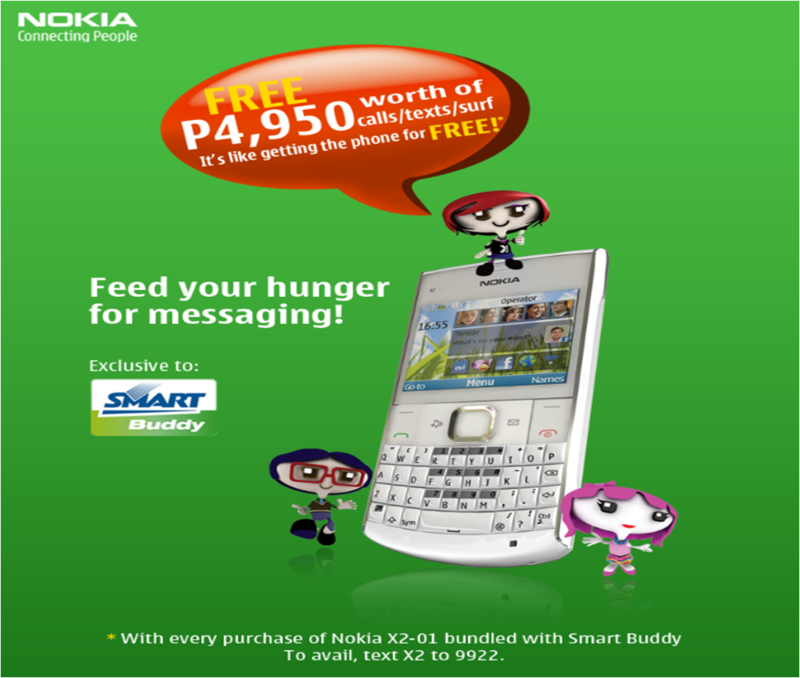 Get a brand new Nokia X2-01 phone with Php4,950 worth of free texts, calls or mobile internet from Smart Buddy! With the said price, it's like you're getting the phone for free. ** Freebies will be credited monthly for 3 months after SIM registration. To call, dial *6415 + 11 digit number. Php1.00 maintaining balance is required to continue enjoying the freebies. Aside from those mentioned above, you can also enjoy the free apps from Ovi Store, which will make your phone as the source of fun and entertainment. Want a fun way to tell the time? Talking Clock speaks the time out every hour, so you definitely won’t miss out on anything important. There’s no boring moment as well as you can set different alarms for different times with this app. For the zodiac crazy, AstroLogic is a great way to start the day with its Daily Horoscope, Lovescope, Fortune Cookies, and Today’s Life Meter Predictions, as well as Love Quotes and Inspirational Quotes. The best part is you can post your predictions to your Facebook or even through SMS. Transform ordinary photos with Photo Fun, which lets you turn any photo of a face with many funny emotions. Create funny photos of your family or friends with various emotions like Laugh, Angry, Frown, Confused, etc. Police Siren, on the other hand, turns your Nokia X2-01 into a police siren which also includes a flashing police light. Exciting games are now also available for download from Ovi Store to your Nokia X2-01. Photo Puzzle lets you personalize a puzzle game using photos of you, your friends, family, pets, cars, nature and more. Want to bring out the bartender in you? Bartender lets you serve drinks to customers with the goal to push them back before they get you. Finally, Tankzors allows you to play the role of a tank and lets you drive around and blow the heck out of everything in sight! All these you can enjoy with a Nokia X2-01. Whatever your mood or personality, there’s a color that absolutely fits your character – from hues like red and lilac to silver, deep gray and azure. 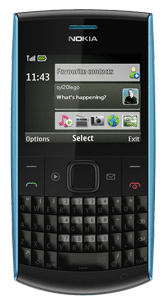 The Nokia X2-01 is a Series 40 2G phone with VGA camera and FM radio. It has one-click access to the music player and has a 3.5mm AV connector ideal for headphones or speakers. It also has Bluetooth and can support up to an 8GB microSD memory card and has a standby battery time of up to 20 days. 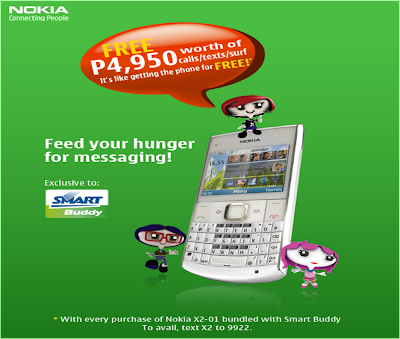 Feed your hunger for messaging and bring out your fun and youthful side with the Nokia X2-01. Suggested retail price is PhP 4,290. I'm extremely please with this phone, i live in Barbados and wasn't sure it wouldv'e worked. As soon as i put the SIM card, it worked. LUVVVVVVVVVVVVVVVVV it! why is it that when i register to x2 to 9922 it does not work properly? Was our X2 phone bought from authorized Smart and Nokia retailers?